WHAT OUR PHOTO RESTORATION SERVICES INCLUDE? Photos are supposed to be a lifetime remembrance of our once happy moments immortalized in a piece of photographic paper. However, when those photos start to fade, captured memories will also start to lost their meaning. Fortunately, there’s no need to worry when such thing happens. With our quality and professional photo restoration services, we can make your faded photos look good and new as if they were just recently taken. After all, it is our goal to provide quality service to our customers who are planning to bring back the timeless memories they have in their old photographs. 1. Removal or replacement of the background – if you’re not satisfied with the background of your photo or wish to have it replaced, then we can offer you a range of photo restoration services such as changing the color, background replacement, or even giving it a more vintage look. 2. Object removal – if there are a lot of distractions in your photo and would like all of them to be removed, then our photo restoration services will help. Unwanted objects such as wires, trees, or even people could be removed from the background in order to restore the photo’s originality in a more efficient manner. 3. Cropping – this might be the most common request we received from our clients. However, this is also a photo restoration service which could greatly transform and restore an image to make it look more stunning than before. 4. Reconstruction – there are also some cases in which some necessary adjustments are required. These might include removing any possible swells, making the subject look younger, adjusting breast size, and a whole lot more. With the help of our photo restoration service, such things are definitely possible. Depending on the type of restoration service you need for your photos, the photo restoration pricing will vary as well. Each restoration project is different, therefore we will individually evaluate each of them to determine how much you are going to pay after the end result is finished. Upon receiving your photo, we will then get in touch with you and offer you a quote. If you choose not to proceed with the project, we will ship the photo back to you without any charge at all! However, if you are not comfortable with shipping the original photo, you can also opt to send us scanned copies instead. We always make sure to inform you of the total price for the project before we even begin working on it. Why you should choose our photo restoration services? Unlike most photo restoration services online, we maintain a high level of professionalism in our works. The art of photo restoration is something that will require a lot of skills, experience, and knowledge to achieve the desired results. 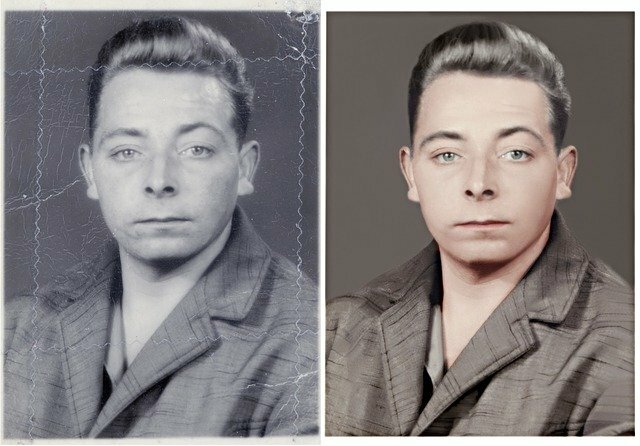 Because of this, each of our photo restoration professionals possess good knowledge and understanding regarding your needs and the use of our advanced techniques to make sure that every restored photo will end up to be the best it could be. We are highly committed to quality that our customers restored photos end up looking a lot better than they originally were. -Our professionals are extremely trained on the superb photo editing tools we use like Adobe Photoshop, Adobe Illustrator, Adobe InDesign and we can provide the best result possible for any photo. -We also provide lowest cost/image and bulk orders special offers, fast turnaround times, and you pay us only when you are satisfied with the results. If you want to restore any old and damaged photos, then don’t hesitate to contact us and avail of our photo restoration services right away!And even better you can apply for our FREE Trial that we are sure it will give you a clear example on what quality of services we provide! Note: Free Trail Accepted only if you have more than 10 photo order. As you know Restoration takes huge times for done. we don’t accept free trial if you have 2 images order. 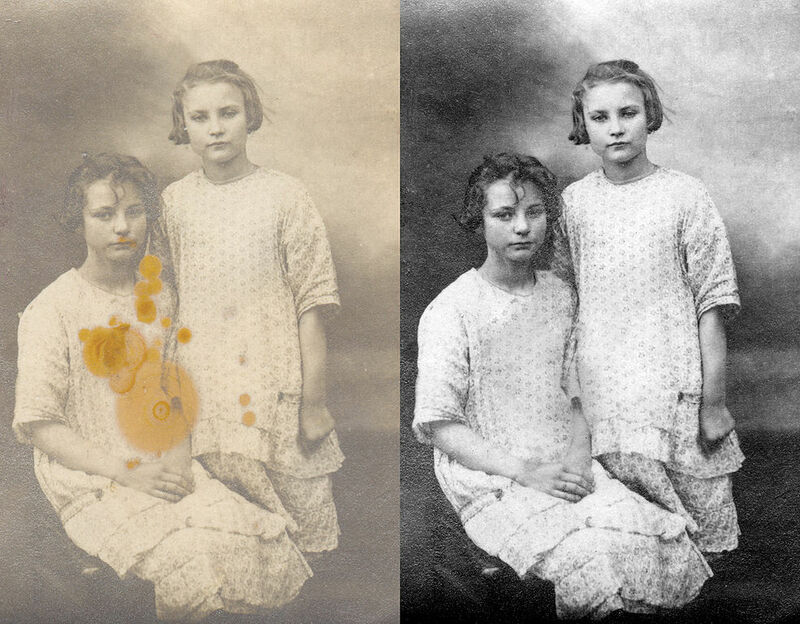 How to do Photo Restoration in photoshop?